Worksheets — by DouWère s.p.r.l. Your calculator is too basic. Worksheets evaluates mathematical expressions (and others). Get it on the MacAppStore, for your Macintosh. Worksheets remembers what you asked for. You can check and re-process : it's just one click away ! The technique used everywhere on the Web : easy and powerful. If you need to write a quick and (not so) dirty memo, you’ll probably avoid launching a full word processor. 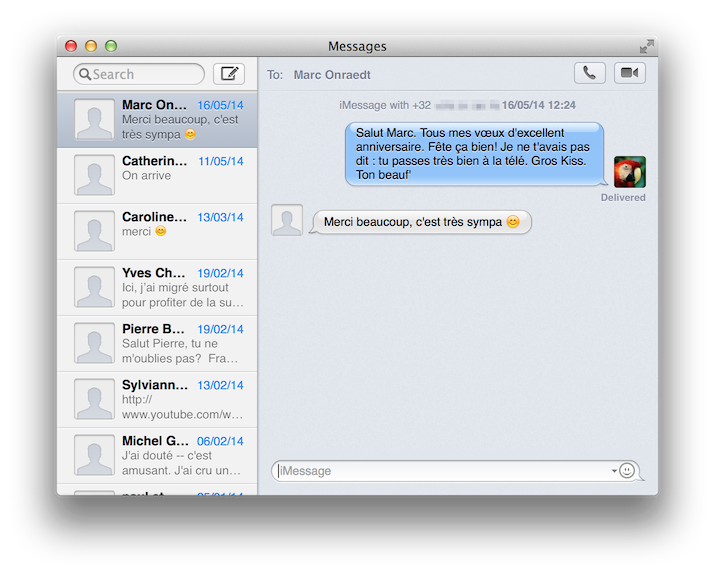 NO — on Yosemite, you’ll just launch Notes and type your few words. Worksheets follows the same philosophy : it saves you from launching a full spreadsheet application to handle quick and (not so) dirty calculations. 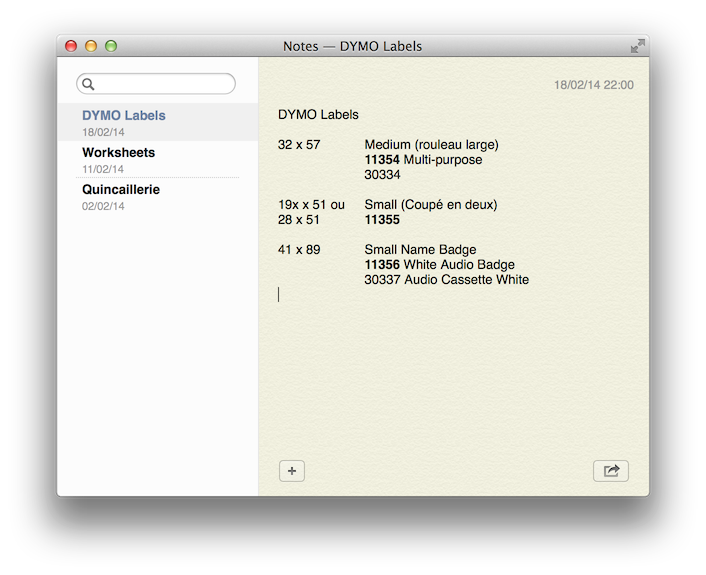 Worksheets runs like Notes (or Contacts, or Messages, or any document-less application) from Apple. You select an item from the left column. You get it’s updated content, instantly, on the right of the window. 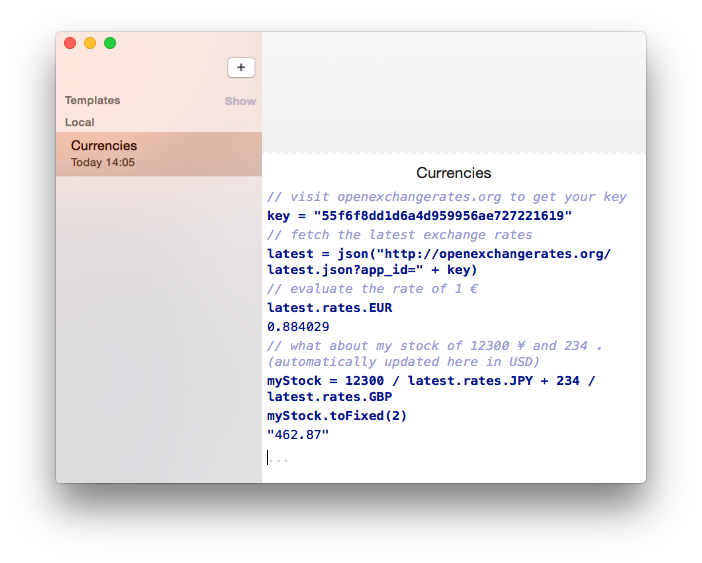 If you just need to make a small operation, Worksheets advantageously upgrades classical calculators as it shows what you just typed in : you have an immediate feedback, and the opportunity to modify input before evaluation is done. 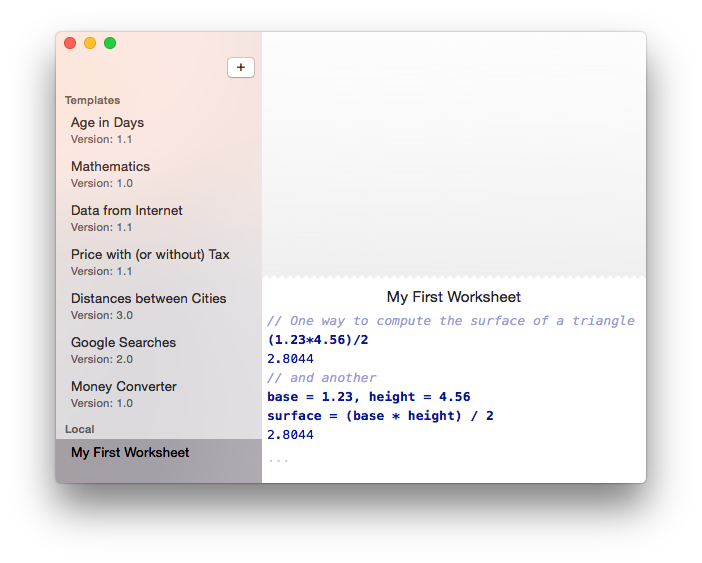 Worksheets remembers what you asked... like Mathematica, it shows your queries in bold face, and the matching results follow... like on a paper roll. Once an evaluation is done, you have the occasion to insert back previous calculation results at the current cursor location, by fetching them in the list, using the up dans down arrow keys. You can also double click any previous item, so you can edit them, cut or paste parts of the expression, and ask for a new evaluation. For more complex operations, Worksheets can use so called "variables" : these are names you give to label evaluations, the way you like, so you re-use their values easily. Worksheets also let you define so called "functions" : these could be seen as named lists of operations that you would like to execute regularly... or even "libraries", to group them. 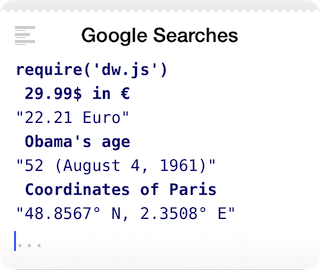 Worksheets works with Numbers, Strings, Booleans, Arrays, Dictionaries, or other Objects (from simple ones — like Dates, to very complex ones — like XML Documents). 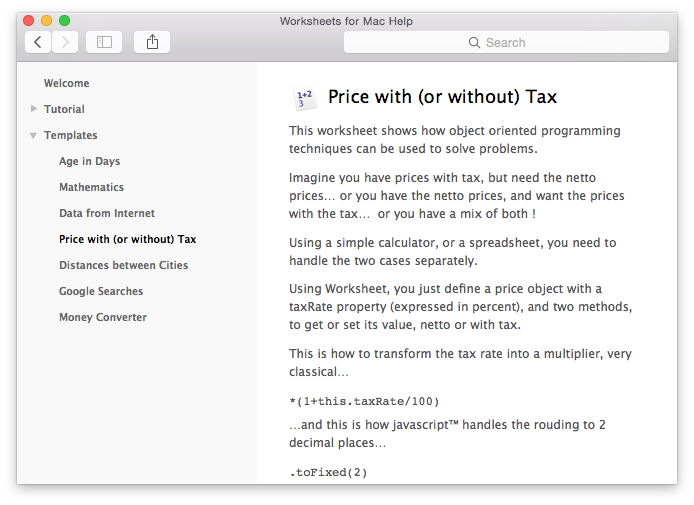 Worksheets knows a lot of operators and functions, and is ready to extend itself, with your own creations (a bit like you extend the power of Excel by writing your own formulas). Worksheets ships with ready to use templates, for helping you to discover the product. Worksheets can fetch remote data to work on — using classical Internet protocols — from your lab instruments, or from the entire world. Using open source libraries could not be easier (by just giving their URL's)... and brings eventually to the evaluation of unexpected expressions ! Feel free to challenge your own creativity, discovering the power in your hands ! 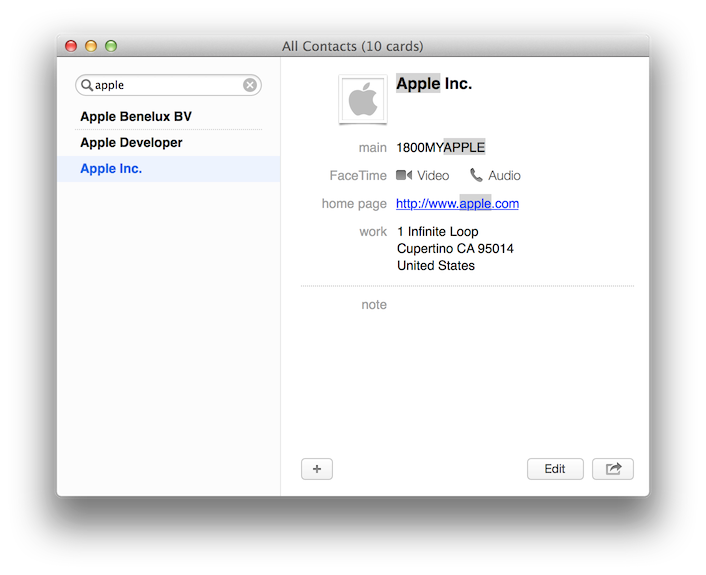 Apple, the Apple logo and Macintosh touch are trademarks of Apple Inc., registered in the U.S. and other countries. App Store is a service mark of Apple Inc.